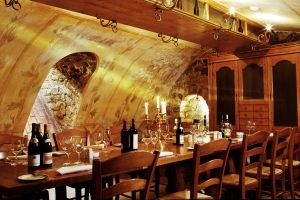 After dinning here many have stated that Medininkai is one of the best restaurants in Vilnius. 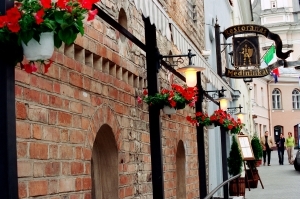 Restaurant Medininkai is located right in the heart of Vilnius Old Town and has a privilege of 16th century courtyard offering it‘s guests a pleasure of lunching or dining outdoors in the pleasant atmosphere of summery ancient Vilnius. 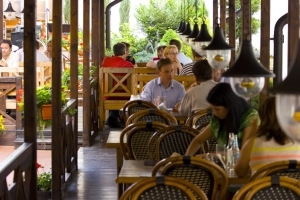 Vilnius restaurant Medininkai today follows the tradition of offering exceptional international cuisine, as well as a number of Lithuanian masterpieces, first-class service in surroundings of refined elegance and impeccable hospitality. 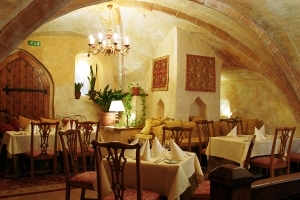 The excellent cuisine together with a high class service will leave you a memorable experience. The Big Hall Saloon – This elegant hall‘s interior is decorated with frescoes painted windows, antique silver, bronze and crystal works. Fresh flowers add the finishing touches to create a perfect atmosphere to dine at. 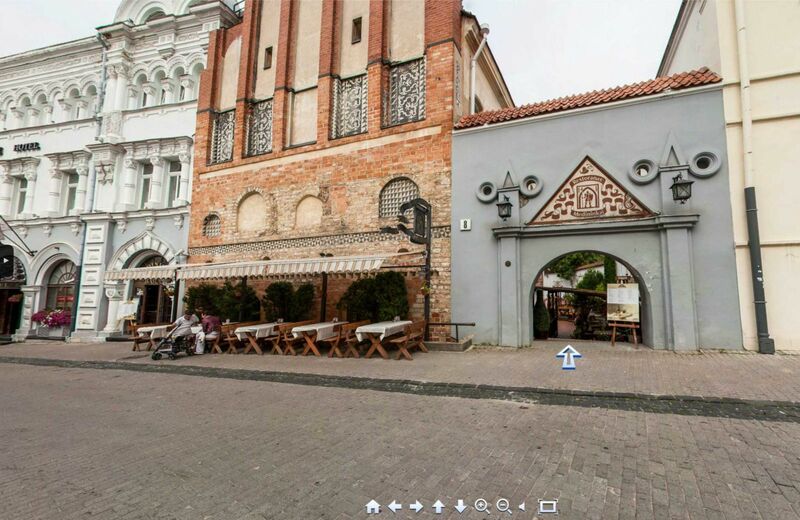 Medininkai summer courtyard is the only place in Vilnius, where you can enjoy the 18th century graffiti decorated wall. 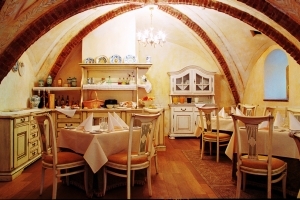 The restaurant Medininkai is ready to prove you that it is the best restaurant in Vilnius Old Town! Breakfast: 7:00 - 10:00 hrs. Breakfast on weekends: 8:00 - 11:00 hrs. Lunch / Dinner: from 12:00 until 23:00 hrs.